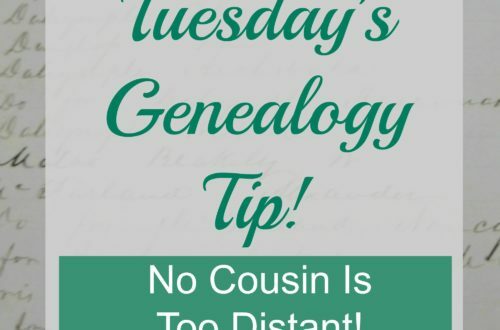 Tuesday's Tip - Using Timelines | Are You My Cousin? 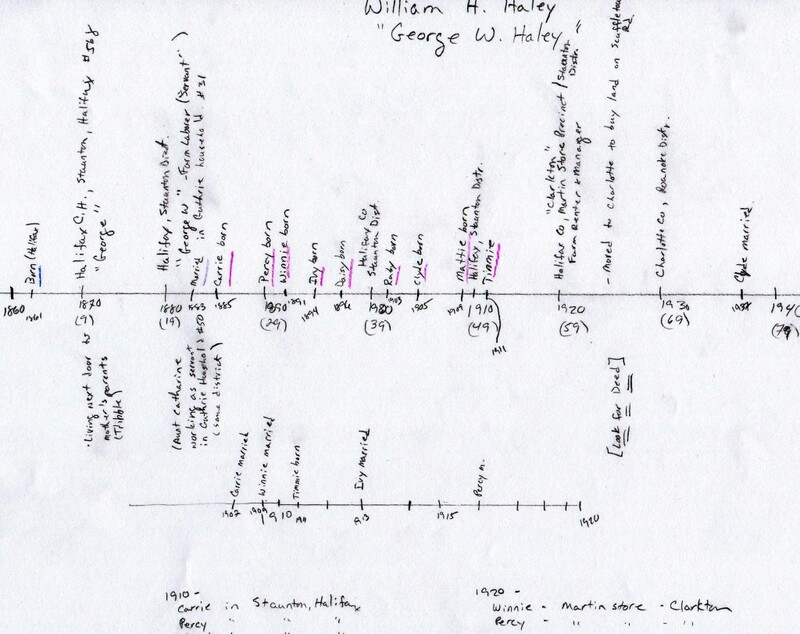 Here is an example of a timeline I made for William [George] Haley of Halifax County, VA. Remember, you can be as high tech or as low tech as you wish. Find what works for you! Did you enjoy today’s tip? 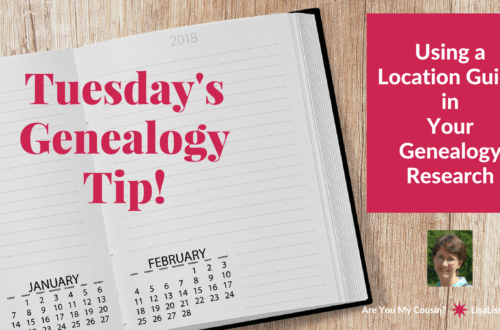 I was just thinking, not an hour ago, that I wish Ancestry had a button you could click to create a timeline for someone! That would be a nice feature, Anna! I am confused. Isn’t the FACTS sheet or LifeStory sheet on Ancestry a very good start for a time line? Maybe I am misunderstanding the timeline? You can surely add or delete from a printed copy. Just a thought. I have a couple timelines. One was created to try to separate two families with the same names (William and Sarah Sampson) in order to figure out which family was mine. The other is just one that has become unwieldy so I’ve abandoned it. I was trying to track my earliest Jollett ancestors and I included too many collaterals. I do like your idea of a timeline for an individual as a way of reminding yourself of what you know and still need to learn. I do this for any ancestor I’m going to blog about. I’d not thought of it as a research tool. Thank you for this. I wanted to tell you that I’ve included your post in my NoteWorthy Reads for this week: http://jahcmft.blogspot.com/2015/04/noteworthy-reads-10.html. Thank you, Jo, for including me in your Noteworthy Reads!